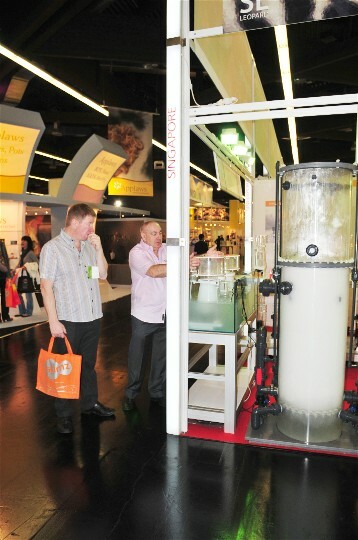 Visitors looking at the Skimz protein skimmers running in the display tank. 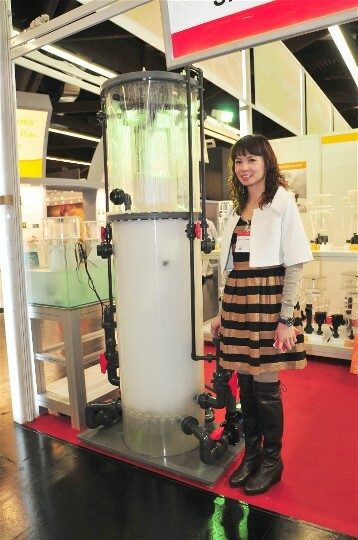 Janet standing beside the Skimz Turbomagnum ST500 commercial protein skimmer. 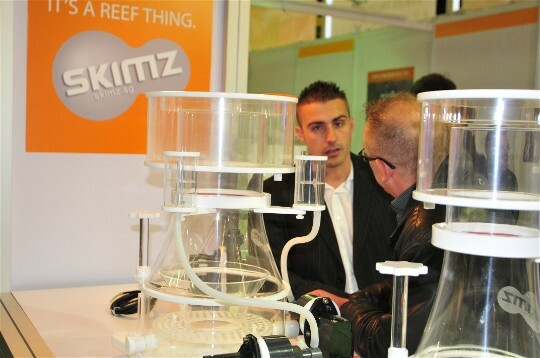 More visitors coming to Skimz exhibition stand at Interzoo 2012. 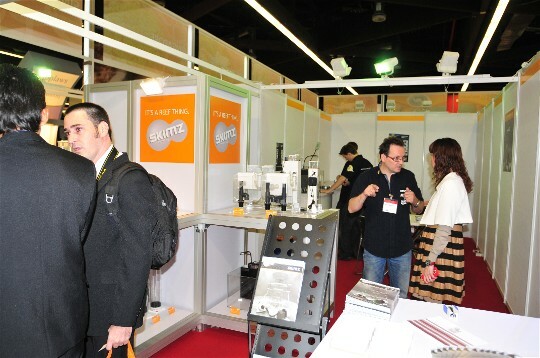 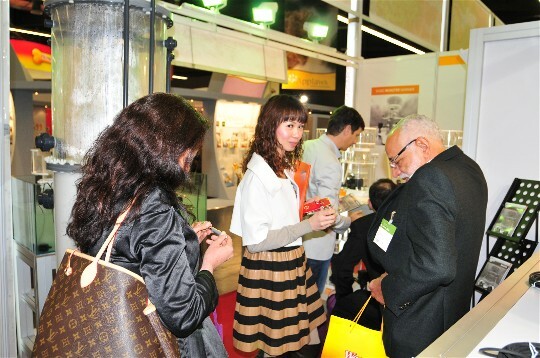 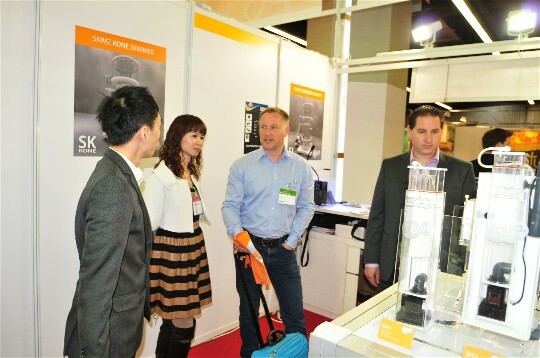 Steve and Janet of Skimz attending to visitors at Interzoo 2012. 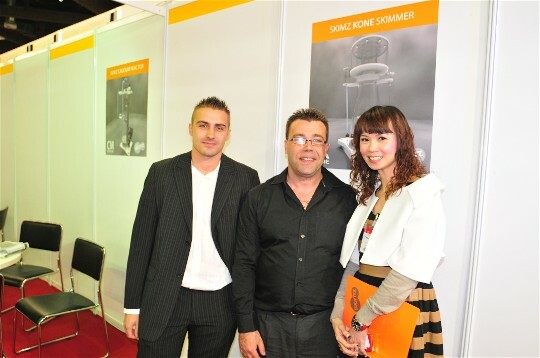 Skimz representative for France, Antinea Group and Janet. 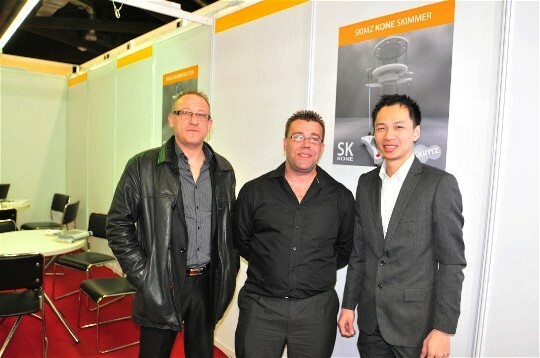 Skimz representative for France, Antinea Group, Janet and John. 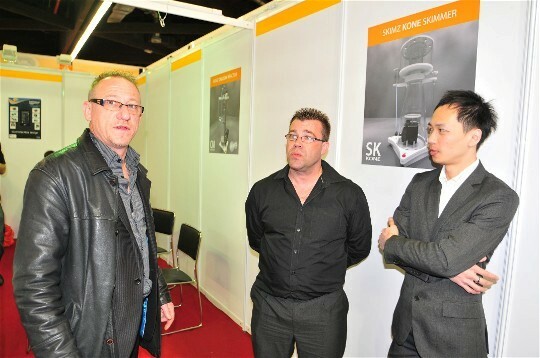 Christophe and Valery of Antinea Group, France and Steve of Skimz.